This is the ultimate beginner’s guide to intermittent fasting. Humans have actually been fasting throughout evolution. Sometimes it was done because food was not available, and it has also been a part of major religions, including Islam, Christianity and Buddhism. When you think about it, our hunter-gatherer ancestors didn’t have supermarkets, refrigerators or food available year-round. Sometimes we couldn’t find anything to eat, and our bodies evolved to be able to function without food for extended periods of time. If anything, fasting from time to time is more “natural” than constantly eating 3-4 (or more) meals per day. Intermittent fasting has been very popular for many years and several different methods have been used. All of them involve splitting the day or week into “eating periods” and “fasting periods.” During the fasting periods, you eat either very little or nothing at all. The 16/8 Method: it involves skipping breakfast and restricting your daily eating period to 8 hours, for example from 1 pm to 9 pm. Then you “fast” for 16 hours in between. By making you eat fewer calories, all of these methods should make you lose weight as long as you don’t compensate by eating much more during the eating periods. I’ve personally found the 16/8 method to be the simplest, most sustainable and easiest to stick to. It is also the most popular. According to this study, people also lost 4-7% of their waist circumference . This indicates that they lost significant amounts of the harmful fatthat builds up around the organs and causes disease. There is also one study showing that intermittent fasting causes less muscle loss than the more standard method of continuous calorie restriction . Weight Loss: As mentioned above, intermittent fasting can help you lose weight and belly fat, without having to consciously restrict calories . Insulin resistance: Intermittent fasting can reduce insulin resistance, lowering blood sugar by 3-6% and fasting insulin levels by 20-31% . This should protect against type 2 diabetes. Heart Health: Intermittent fasting may reduce LDL cholesterol, blood triglycerides, inflammatory markers, blood sugar and insulin resistance. These are all risk factors for heart disease . Cancer: Animal studies suggest that intermittent fasting may help prevent cancer . Bottom Line: Intermittent fasting can have many benefits for your body and brain. It can cause weight loss, and may protect against type 2 diabetes, heart disease and cancer. It may also help you live longer. Eating healthy is simple, but it can be incredibly hard to stick to. If you do intermittent fasting, this gets easier because you don’t need to plan, cook or clean up after as many meals as before. Intermittent fasting is actually very popular among the “life hacking” crowd because it improves your health while simplifying your life at the same time. If you are underweight, or have a history of eating disorders, then you should not do intermittent fasting without consulting with a health professional first. In these cases, it can be downright harmful. There is some evidence that intermittent fasting may not be as beneficial for women, as it is for men. There are plenty of anecdotal reports from women whos menstrual period stopped when they started doing IF, then went back to normal when they stopped doing it. For these reasons, women should definitely be careful with intermittent fasting. Ease into it, and if you have any problems like amenorrhea then stop doing it immediately. If you have problems with fertility and/or are trying to conceive, then consider holding off on intermittent fasting for now. Intermittent fasting is probably a bad idea when pregnant or breastfeeding. 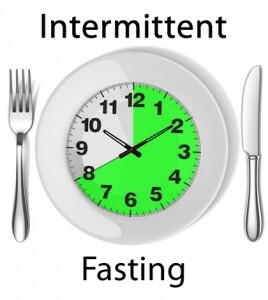 Hunger is the main side effect of intermittent fasting. You may also feel weak and that your brain isn’t performing as well as you’re used to. This may only be temporary, as it can take some time for your body to adapt to the new meal schedule. If you have a medical condition, then you should consult with your doctor before trying intermittent fasting. Are a female who is trying to conceive. Are a female with a history of amenorrhea. All that being said, intermittent fasting does have an outstanding safety profile. There is nothing “dangerous” about not eating for a while if you are healthy and well nourished overall. Yes. water coffee and tea and other non-caloric beverages are fine. Do not add sugar to your coffee. Small amounts of milk or cream may be okay. Coffee can be particularly beneficial during a fast, because it can blunt hunger . Yes. However, keep in mind that some supplements (like fat-soluble vitamins) may work better when taken with meals. Yes, fasted workouts are fine. Some people recommend taking (BCAAs) before a fasted workout. No. Studies show that short-term fasts actually boost metabolism . However, longer fasts (3 days or more) can surpress metabolism . Chances are that you’ve already done many “intermittent fasts” in your life. If you’ve ever eaten dinner, then slept late and not eaten until lunch the next day, then you’ve probably already done a 16+ hour fast. Many people actually instinctively eat this way. They simply don’t feel hungry in the morning. Intermittent fasting is not something that anyone needs to do. It is just one of many lifestyle strategies that can improve your health. Eating real food exercising and taking care of your sleep are still the most important factors to focus on. If you don’t like the idea of fasting, then you can safely ignore all of this. Just continue to do what works for you. At the end of the day, there is no one-size-fits-all solution in nutrition. The best diet for you is the one you can stick to in the long run. Intermittent fasting is great for some people, not others. The only way to find out which group you belong to is to try it out. If you feel good when fasting and find it to be a sustainable way of eating, then it can be a very powerful tool to lose weight and improve health.